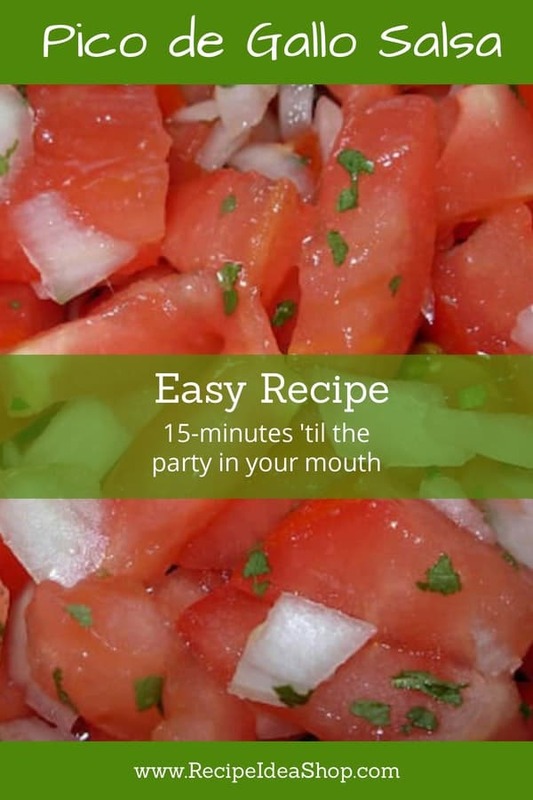 Make this 15-minute Pico de Gallo Salsa, grab some chips and have a party anytime. Hi. It’s Lois in the kitchen at Recipe Idea Shop. 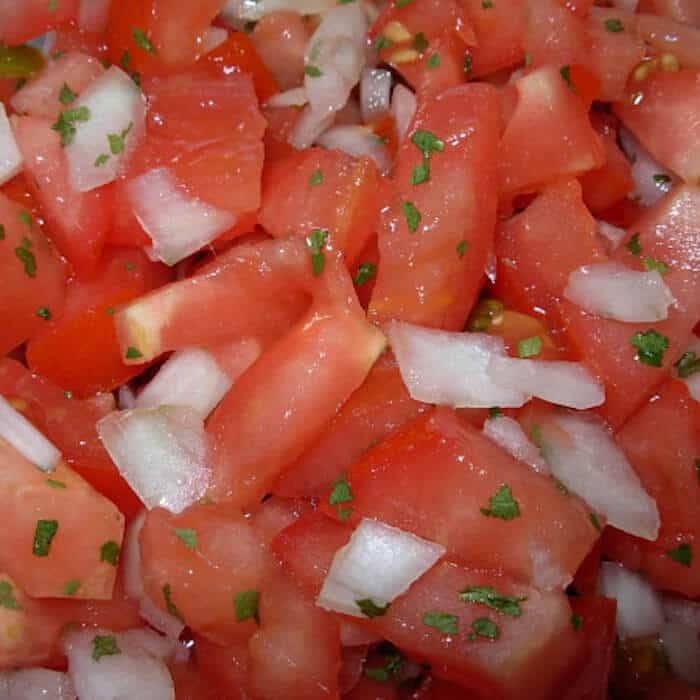 This Pico de Gallo Salsa is very easy and amazingly tasty. 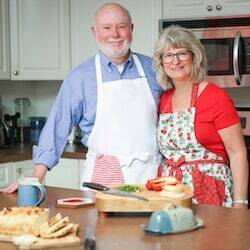 Even if you are mighty slow at chopping onions and tomatoes (like I am), it shouldn’t take you longer than 15 minutes to make it. Start with fresh, ripe tomatoes from the Farmer’s Market or your own garden for best results! When I can’t get fresh, vine-ripened tomatoes, I buy grape or cherry tomatoes at the grocery store. I find that they seem to have a better flavor out of season than larger ones. 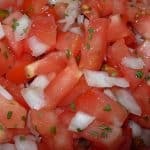 Pico de Gallo Salsa is a good addition to Mexican Layered Dip, burritos or casseroles, and it is excellent served simply with taco chips. I love it on top of Lentil Soup, Black Bean Soup and Middle Eastern Black Bean Ful. 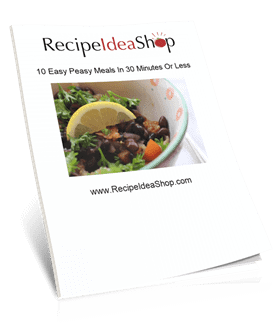 Try it with Black Bean Tortilla Chips Casserole. So tasty, it's like a party in your mouth. For best results, chill for an hour, but you can eat it right away and it will be very tasty. 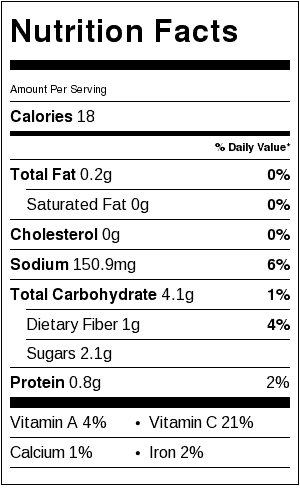 Pico de Gallo Salsa Nutrition Label. Each serving is about 1/2 cup.